Erika is a senior originally from Allen, Texas. She is studying Industrial and Operations Engineering. Erika is the Director for Women for National oSTEM. On campus, she is a member of the Society of Women Engineers, oSTEM, and the Student Advisory Board for CAPS. In her free time, Erika loves playing with her dog (Skittles), cooking, and hanging out with friends. Erika loves living off campus because of the flexibility and community it provides! Read more about Erika A.
Rahul is a sophomore from Troy, Michigan studying Business and Computer Science. On campus, he is involved with Michigan Business Club and works for the Dean of Students Office. He is a big football and basketball fan and loves living off campus because it gives him the opportunity to explore the Ann Arbor lifestyle with his roommates. After consulting a few Buzzfeed quizzes, Rahul decided that if he were to be a dinosaur, he would be a Brontosaurus because of his loyalty and friendliness. Read more about Rahul A. From right here in Ann Arbor, Michigan, Annie is a sophomore looking to study Psychology and English. She works with a literary magazine on campus and enjoys volunteering through local programs. In her free time, Annie likes doing yoga, reading, and finding places to hammock. She believes well-being is important to help students have the “best experience possible while living off campus. Read more about Anne E.
Read more about Mikaela G.
Sam is a Junior from White Lake, MI studying BCN (Biopsychology, Cognition, and Neuroscience) and CMB (Cellular and Molecular Biology). She is a member of the honors psychology fraternity Psi Chi. Besides being a Neighborhood Ambassador, she spends her time doing four other jobs varying from tutoring to office work. Outside of academics, Sam currently focuses on social psychology research but she hopes to get into neurobiology research soon. Although she loves to stay busy, Sam's favorite pastime is yoga, which she practices 5 - 7 days a week. Read more about Samantha G.
Molly (Labrousse) Haduch is the Beyond the Diag Program Manager.  Beyond the Diag is U-M’s off campus housing program that connects students to safety resources, offers community building events in the off campus neighborhoods, and provides a listing service for students to search for housing. Molly also serves on the Student Support Case Management Team in the Dean of Students Office. Read more about Molly H.
Austin is a senior in the School of Information with a minor in the Ross School of Business and a recent transfer student from Michigan State University. He is originally from Troy, Michigan. He currently researches and works with the University of Michigan School of Information with multiple professors in a variety of roles, is a member of the Dean of Students Advisory Board, is active with the Michigan Data Science team, and volunteers at the Humane Society of Huron Valley. His favorite part about living off-campus is being immersed in the Ann Arbor culture. Read more about Austin M.
Peter hails from Birmingham, Michigan and is a Junior pursuing a Major in Economics with a Minor in Computer Science. He is passionate about politics and sports and has spent time calling games for UM sports with WCBN Sports Radio. Peter is interested in community engagement and believes it “is vital to a great off campus experience.” If Peter was a dinosaur, he would be a T-Rex! Read more about Peter M.
A senior from New York, Aidan is studying political science with plans to attend law school. She transferred to Michigan as a junior after attending both a military school and a community college previously, meaning she has experienced all different living situations on and off campus. Aidan works for Recreational Sports and is a member of the Michigan Pre Law Society. When she is not working or studying, Aidan can be found at the gym or running outside. Read more about Aidan P.
Originally from Hinsdale, Illinois, Caitlin is a senior in the Ford School of Public Policy. Previously, she has written for the Michigan Daily and has loved living in her Kerrytown house for three years. Caitlin was a member of APO and, in her free time, she loves to cook and cheer on Michigan athletics. If she were a dinosaur, Caitlin would be a Velociraptor! Read more about Caitlin R.
William is a senior in the School of Information. He is originally from Troy, Michigan. On campus, he is an instructional aide with SI 106. Off-campus, he enjoys baking and running. Read more about William W.